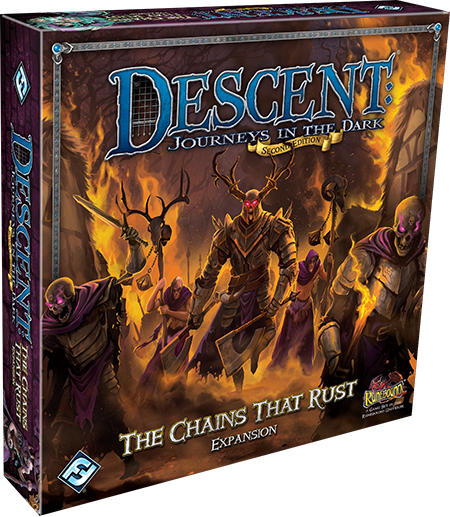 You and your fellow heroes must escape from the Mistlands in The Chains That Rust, an upcoming expansion for Descent: Journeys in the Dark! Here, you’ll find dozens of new threats, including Tainted cards with new penalties for being knocked out, terrifying new monsters under the command of the overlord player, and a deadly class of Overlord cards. Still, not all is dangerous—the heroes themselves gain the ability to step outside their normal classes with the brand-new addition of hybrid classes. In our last preview, we looked at the overlord player’s new servant: the Scourge. Today, however, we turn our attention to a few of the other monsters that join your forces in The Chains That Rust! The Mistlands are haunted by all manner of otherworldly creatures, not all of which are the products of the necromancer’s art. Some are shaped by forces beyond the knowledge of any necromancer—but that doesn’t make them any less dangerous. Within the Mistlands, spirits that have forgotten themselves commonly pull together into powerful collectives of hunger, pain, and fear. Called “the dispossessed” by those unfortunate enough to encounter them, these spirits often fixate on a single living creature. They flicker through the swamps of the Mistlands—always just at the edge of vision. When their target’s fear is at its peak, the dispossessed strike, countless spectral hands dragging their victim down to death. And then, another spirit begins its eternal wandering, gradually forgetting itself, and the cycle begins again. As monsters in the service of the overlord player, the dispossessed excel at hunting individual heroes. Not only do these monsters feature high health and good defense dice, making them hard to kill, they can also spend surges to deal more damage, or in the master’s case, to terrify their target. 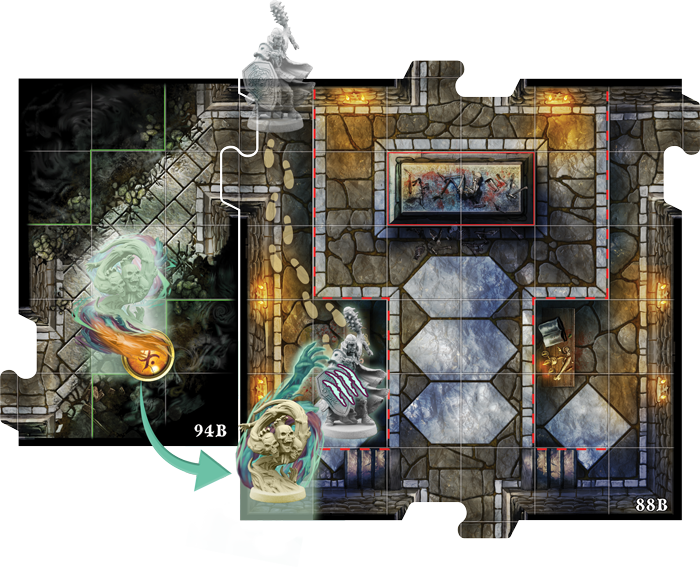 Their only true weakness is their speed—the dispossessed can only move two spaces per turn, making it relatively easy for the heroes to simply outrun these ghastly spirits. 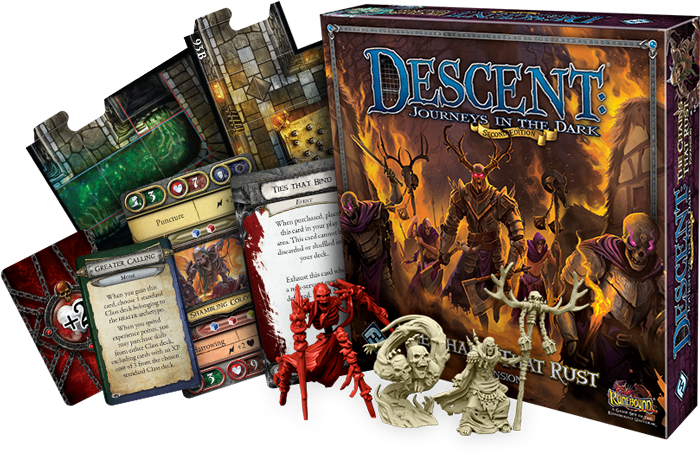 Fortunately, the dispossessed are tenacious, and with two of their abilities, you’ll find it quite easy to keep up with the hero you’ve chosen to haunt to his doom. 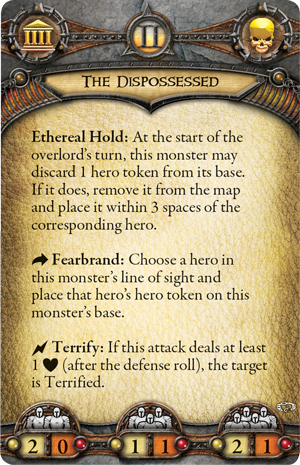 First, you must spend an action as the dispossessed to trigger Fearbrand—this ability allows you to choose any hero in your line of sight and place its hero token on your figure’s base. 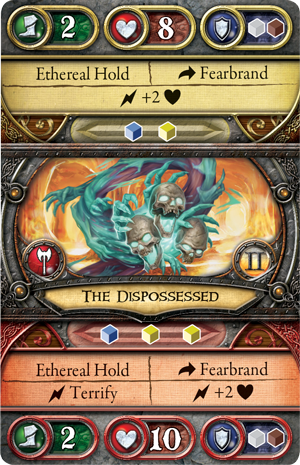 Then, at the start of your turn, you can trigger Ethereal Hold to discard a hero token from the dispossessed and immediately place them anywhere within three spaces of the corresponding hero. From there, it’s easy to launch an attack and even trigger Fearbrand again, allowing you to haunt a single hero until his eventual demise. One hero flees deeper into the chamber, but the dispossessed triggers Ethereal Hold—discarding the hero token to appear next to its target and attack! All mortal men and women are bound by one inescapable truth: someday, they will die. Not everyone is willing to accept this inevitability, and necromancy is a seductive promise in the unending quest for immortality. Many such tormented souls choose to flee to the Mistlands in search of arcane secrets, and the most gifted among these become known as marrow priests. Marrow priests do not fear death—indeed, they embrace it. They revel in the impermanence of their lives, and of all living things, making each death an act of devotion. Considered mad by most, they work dangerous magic with artifacts of deathly power, sapping the vitality of the living to speed them on their way to oblivion. Ironically, their devotion to death makes the marrow priests quite hardy and difficult to kill, so it is fortunate that these foul necromancers are few in number. Marrow priests are ever eager to serve your dark designs as the overlord player—provided that they can reap their share of death. These monsters are fast and dangerous, but their true value can be found in their unique special abilities. 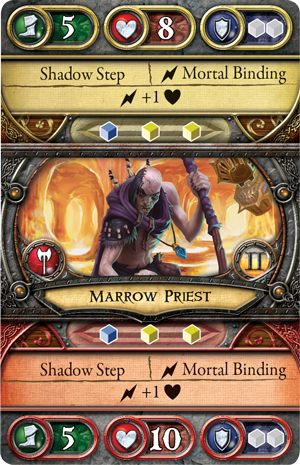 During an attack, for instance, a marrow priest may spend a surge to trigger Mortal Binding, forcing his target to test knowledge. If the hero fails, you can place his hero token on your Monster card, preventing it from recovering damage by any means! As soon as a marrow priest is defeated or a hero is knocked out, however, all hero tokens are discarded from the Monster card. With this potent ability, your marrow priests may dive in to strike and trigger Mortal Binding, and then spend the rest of the quest staying just outside the heroes’ reach. 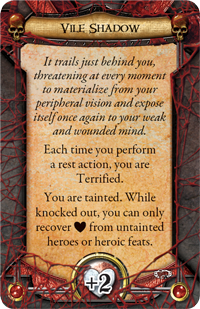 If you can keep them from healing, it’ll become much easier to knock the heroes out and force them to suffer the consequences of new Tainted cards like Perfect Peace or Vile Shadow . 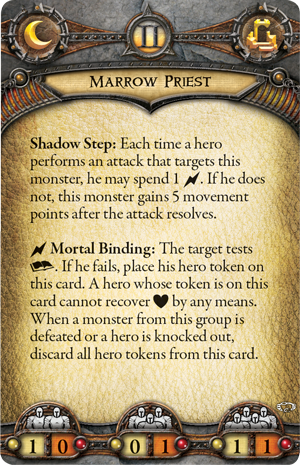 Of course, the heroes may catch on and target your marrow priests—but the Shadow Step ability is the perfect defense. Each time a hero attacks one of your marrow priests, the hero may spend a surge: if he doesn’t, your marrow priest gains five movement points immediately after the attack! Shadow Step can prove essential to keeping your marrow priests out of he heroes’ reach. The dead are everywhere within the Mistlands, and with The Chains That Rust, you have the tools you need to take control and crush the heroes. Journey deep into Waiqar’s domain, and take command of your monsters when you pre-order your copy of The Chains That Rust at your local retailer today. Join us next time for a preview of the new hybrid hero classes introduced in this expansion!